Daily news on all topics Mexico. Related financial institutions (banks, stock exchange) either in or dealing with Mexico. Regional directory for the U.S. Mexico border, lodgings, real estate, business & travel. Online classified ads for real estate and vacation properties. Companies providing cellular, internet or telephone services in Mexico. Companies providing professional services for those looking to open a new, expand, or do business in Mexico. These companies will assist you in importing or exporting your goods across the international border. 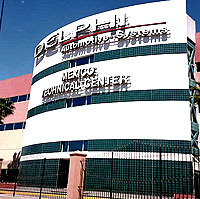 Various health or medical businesses in Mexico. How-To Business Information, Visas, Laws & Legal System, Research & business directories on Mexico: Maquiladora Directories & Consulting Reports. 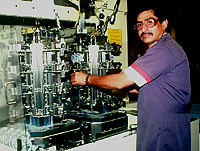 Maquiladora manufacturing facilities in Mexico, parent companies & support services. Listing of private and government NAFTA resources. Look for, and register your own, personal profile listing in a searchable database of professionals doing business in or with Mexico. Real Estate brokers & services to the border & Maquiladora industry.